Shopping for Zombies Lunch Boxes? Vital for your survival. With the dawn of a zombie apocalypse nearly always nigh, your Zombie Human Organ Large Fun Box Tin Tote will become ever the more vital! A comfortably spacey tin lunch box at 7 3/4-inches wide x 6 3/4-inches tall x 4 1/4-inches long, it's big enough to lug a few healthy organs around but small enough to keep it relatively light as you escape the hungry, undead hordes. 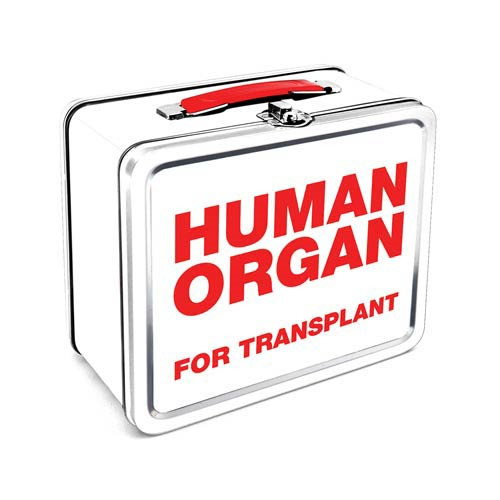 Invest in your own survival with the Zombie Human Organ Lunch Box! Ages 14 and up.